Music lovers can get a cordless experience without compromising on sound quality with the NuForce BE6i wireless in-ear headphones. The BE6i earphones can play music and take phone calls continuously for up to eight hours and are equipped with an in-line remote control that can skip tracks, engage Siri and activate the Bluetooth pairing mode. The BE6i are the only Bluetooth in-ear headphones to be fully crafted from aluminium. This gives crystal-clear sound and a robust but elegant, and incredibly lightweight design. Boasting a 30-metre Bluetooth® range, they are both Apt-X and AAC compatible to give superior quality audio streaming, whatever your device of choice. 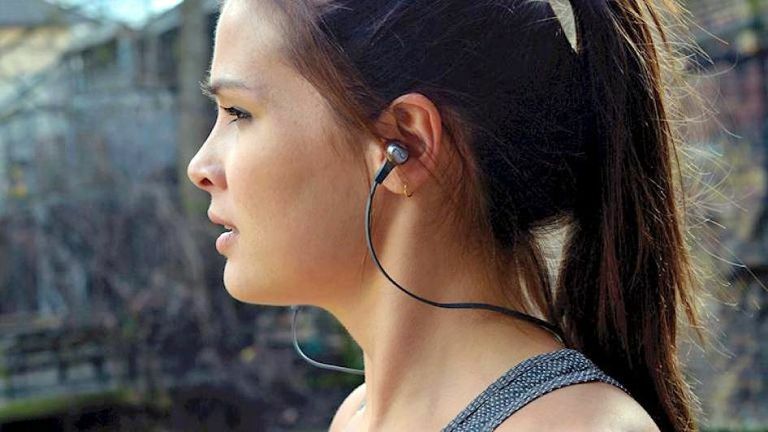 The model is also IPX5 certified ensuring protection from rain and sweat, and comes with five sets of custom designed silicone and two sets of Comply soft memory foam ear tips, so you'll get the perfect fit no matter how freakish your ears are. NuForce BE6i earphones come in gunmetal grey and rose gold, and are ideal for mobile phones without audio jacks, such as the latest Moto Droid and, oh you know, any other phones that might come out in the near future with no headphone socket. Optoma is a world leading designer and manufacturer of projectors for business, education, professional audio/video and home entertainment. The Optoma NuForce sound range is designed for people that care about audio. They are built from premium quality components to deliver sleek design and exceptional sound.